That's nice. Soft. Comfortable. 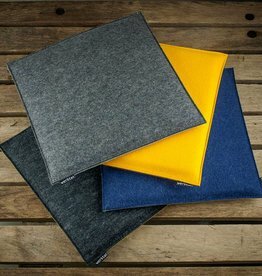 Felt pads from wool felt, look good and feel wonderful. The square seat pads made of 100% virgin wool absorb moisture, dry quickly and insulate against heat and cold. The felt pads can be used on both sides - indoors, outdoors and on for to go. 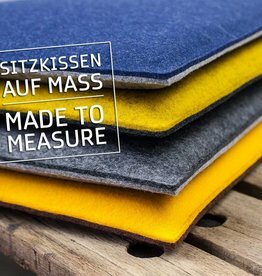 werktat offers a wide range of square felt seat pads for chairs, stools and benches - even for those who only want to use a felt cover occasionally. The square felt Pads are easy to clean and insensitive, even after long use they still look attractive. Comfortable felt pads or seat cushions should have a fixed place in every house. Even with new seating, they are valuable, because the additional surface protection feature for square seats keeps the original surfaces clean and visually perfect for longer.